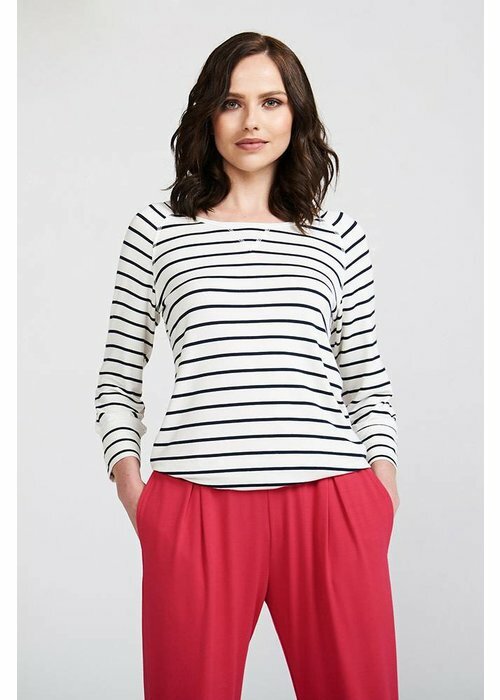 The short sleeve top from Royal Bamboo has a classic look, with a round neckline, and sleeves that end slightly above the elbow. 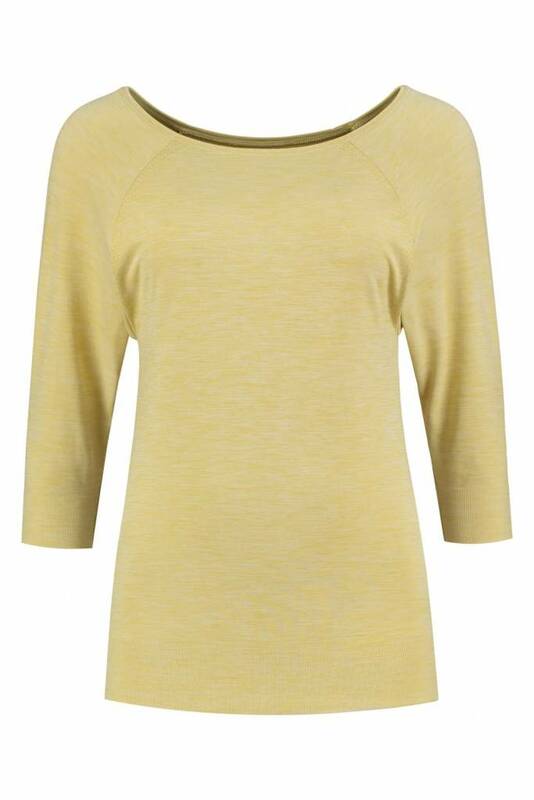 Made with wonderfully soft and ecologically sound bamboe. 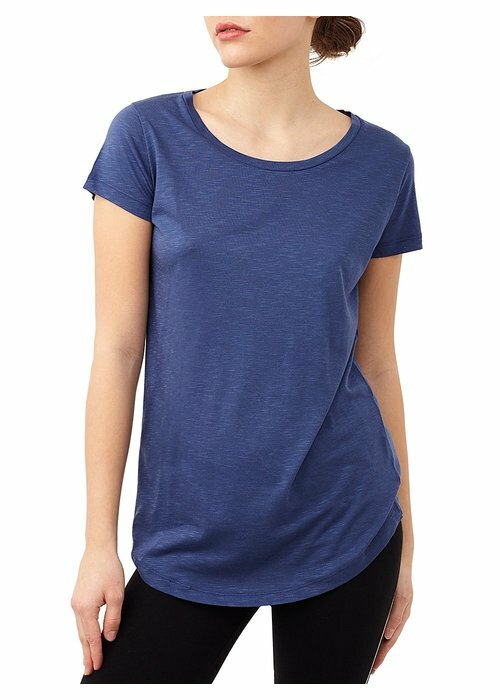 This sustainably produced tee has an elegant scooped neckline, sleeves that end at the elbow, and a slim fit. 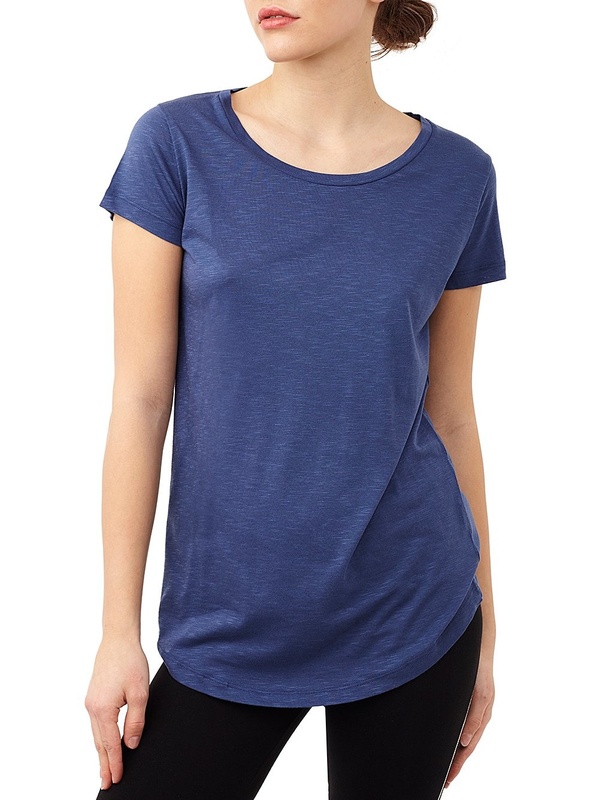 Made from a breathable and wear-resistant hemp and organic cotton blend. 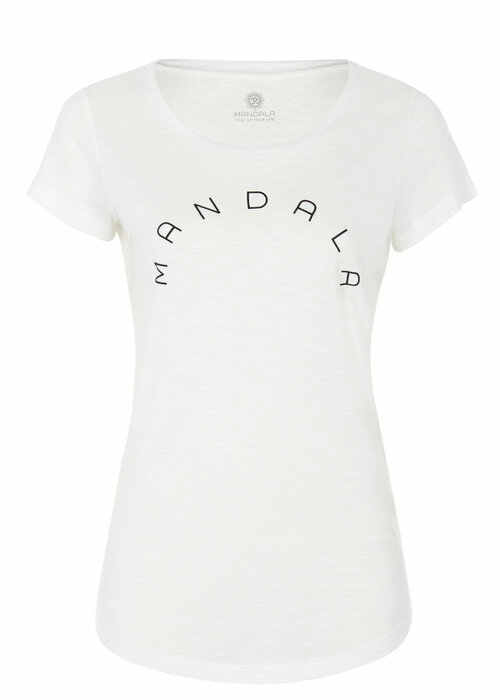 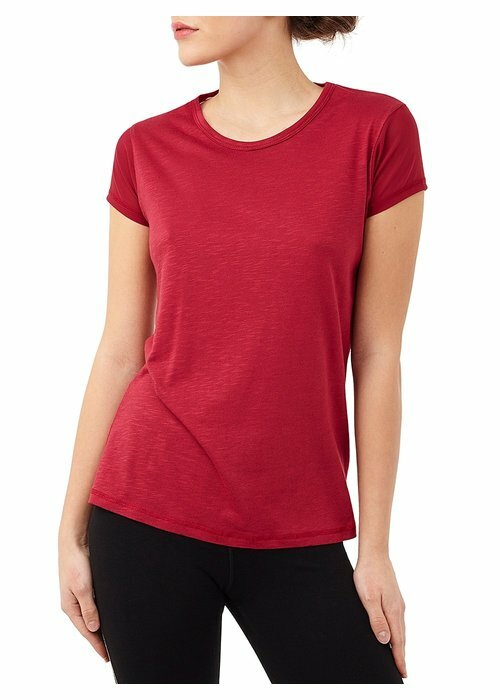 A lovely basic tee made with soft and quick-drying material that you'll want to wear over and over again! 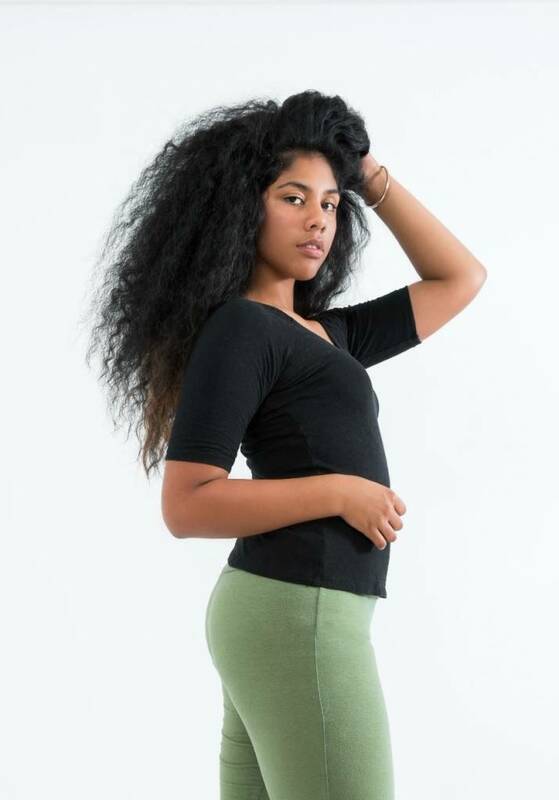 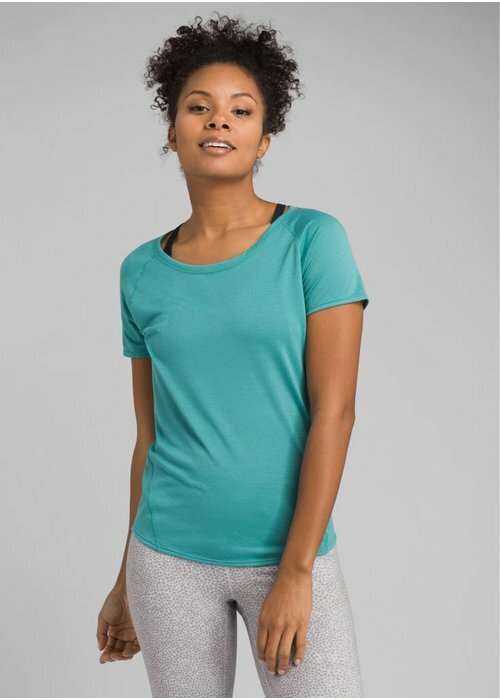 The Iselle Short Sleeve a soft scooped neckline, flat seam detail on the back, and a shirttail hem that keeps the low back covered in all postures. 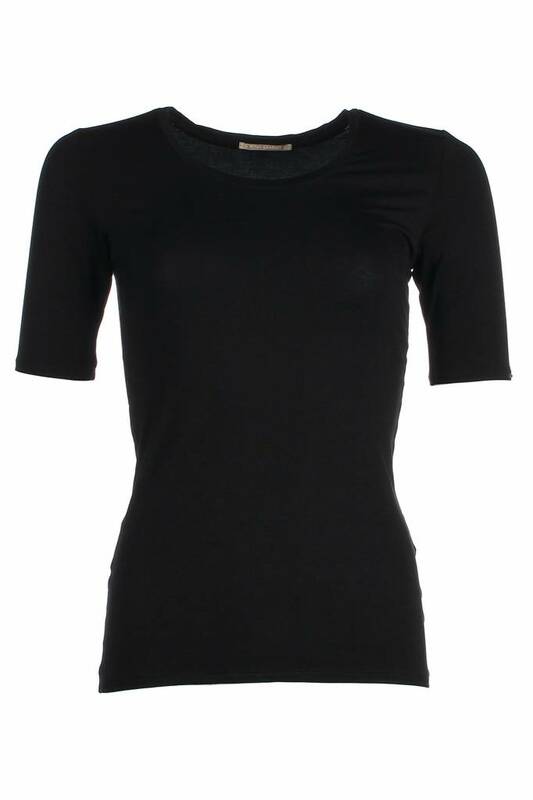 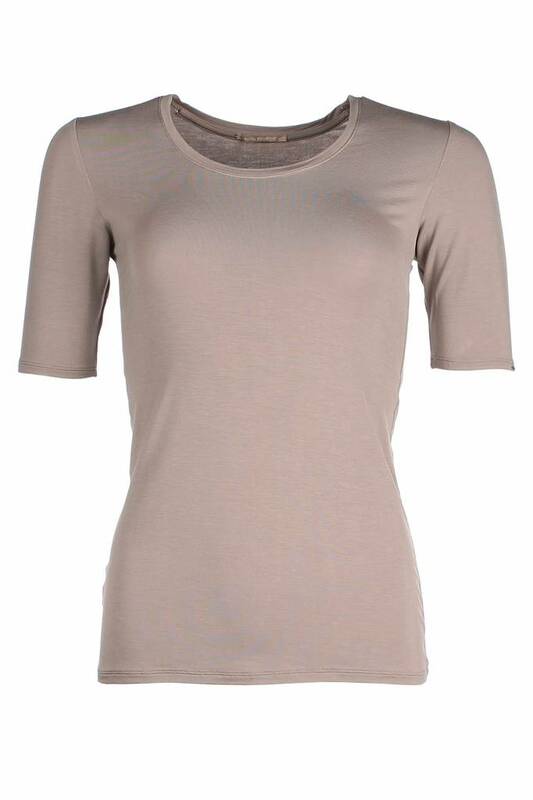 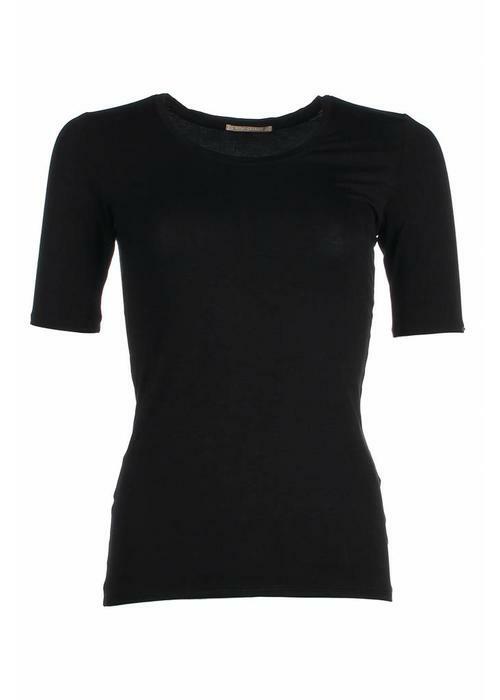 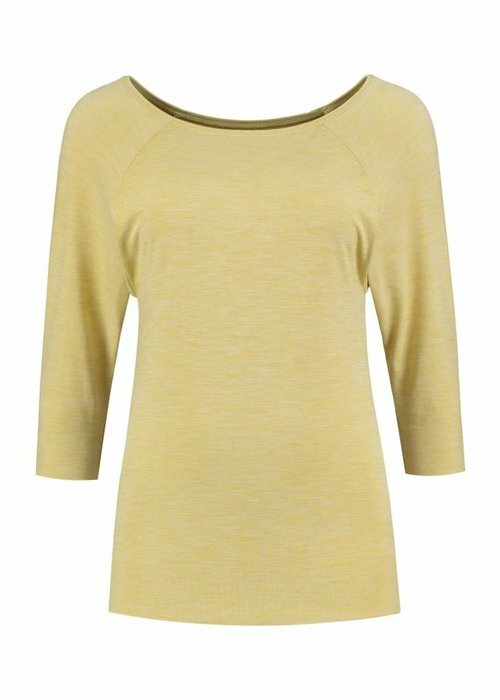 A hip-skimming tee with a deep V neckline and short sleeves, made with soft bamboo jersey. 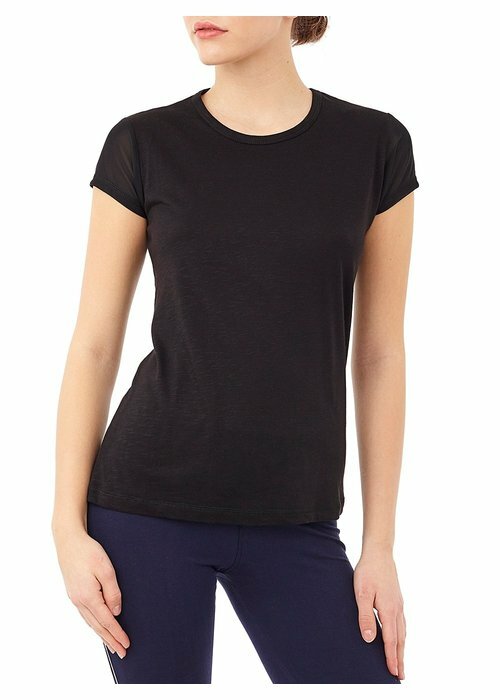 This tee is something you can wear anywhere and with everything - taking you effortlessly from your yoga mat to your everyday life. 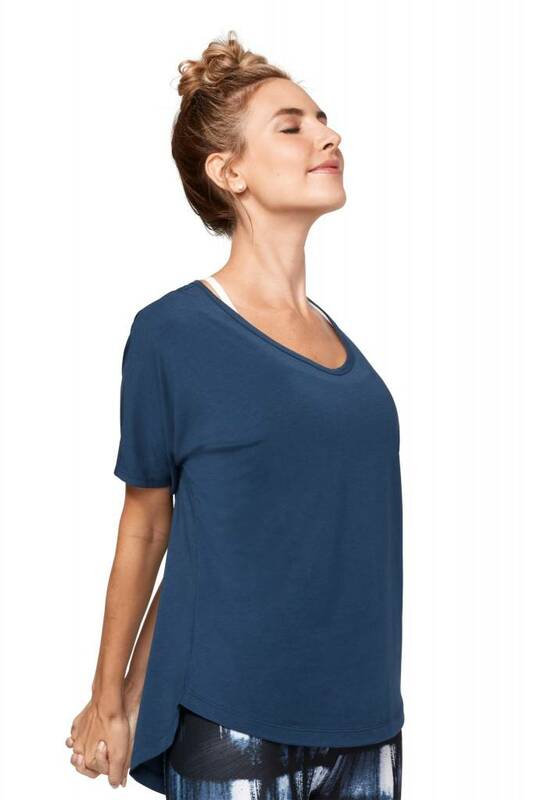 Yoga shirt with a beautiful drapey fit, wide scooped neckline, and batwing sleeves. 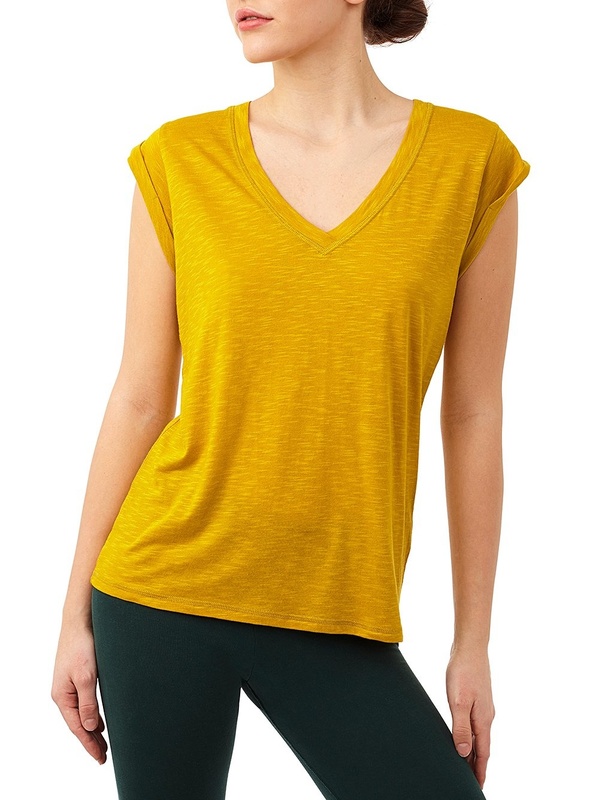 Made with soft and supply bamboo, lovely to wear during yoga, meditation, or on a day off. Relaxed fit, extra long yoga t-shirt with a soft v-neck. 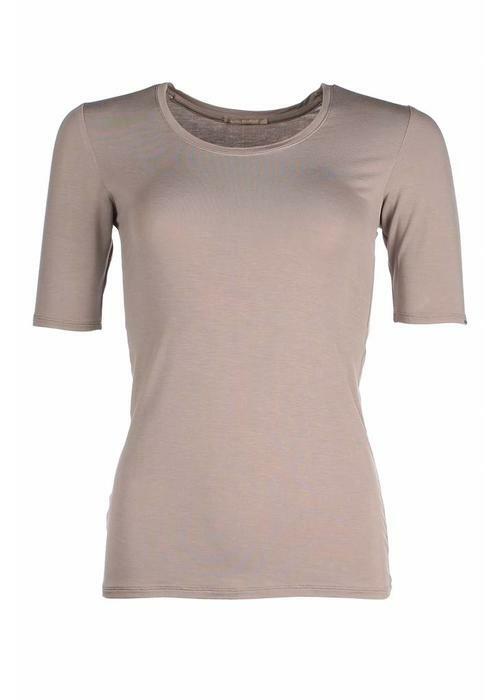 The Freedom Tee gives you maximum freedom of movement and coverage. 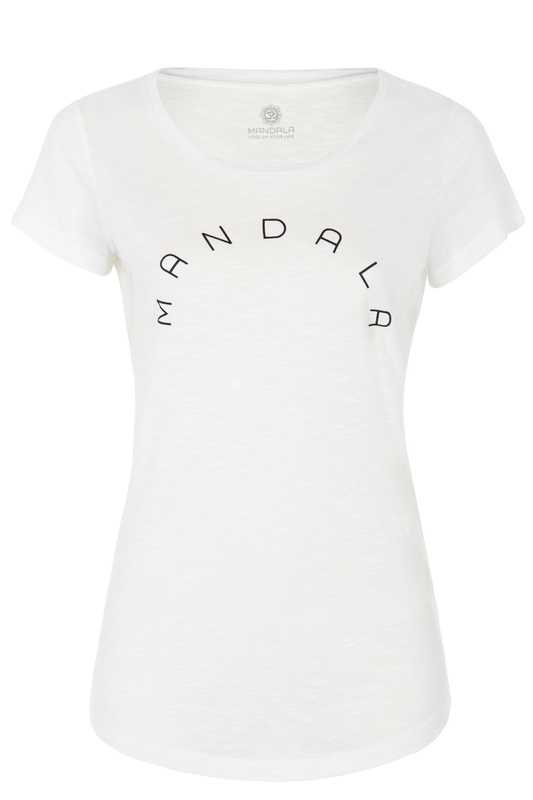 Made of wonderfully soft bamboo, perfect for yoga or pilates. 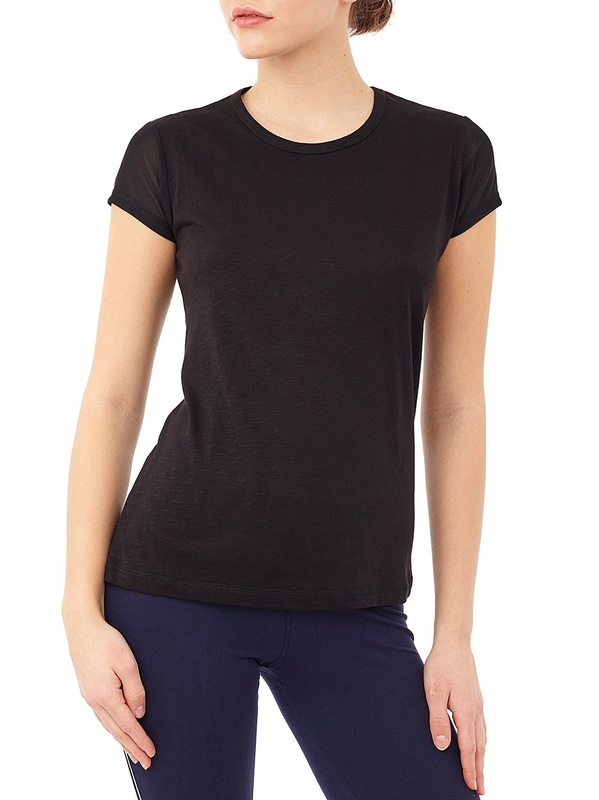 Slim fit yoga t-shirt with a soft round neck, and subtle pleating on the hip. 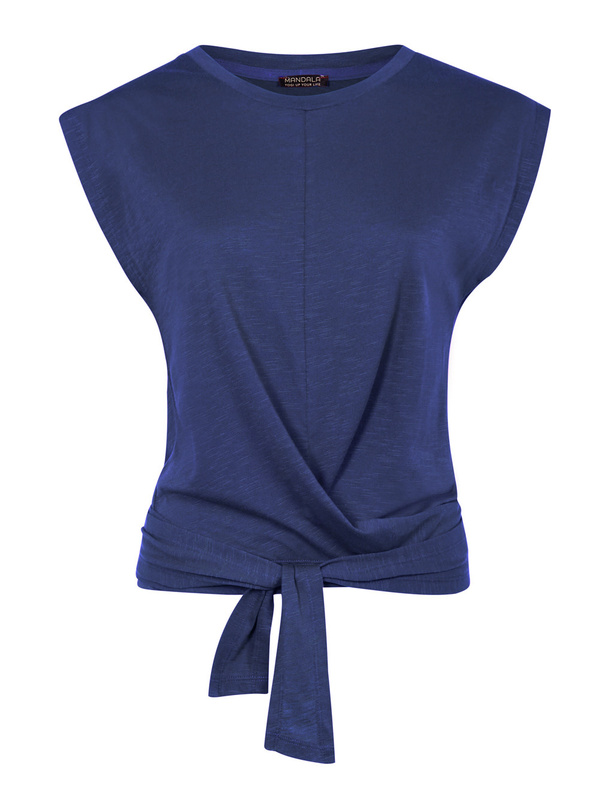 Made of wonderfully soft bamboo that moves with you smoothly. A real essential for yoga or pilates. Lovely soft yoga tee made with organic cotton and tencel. 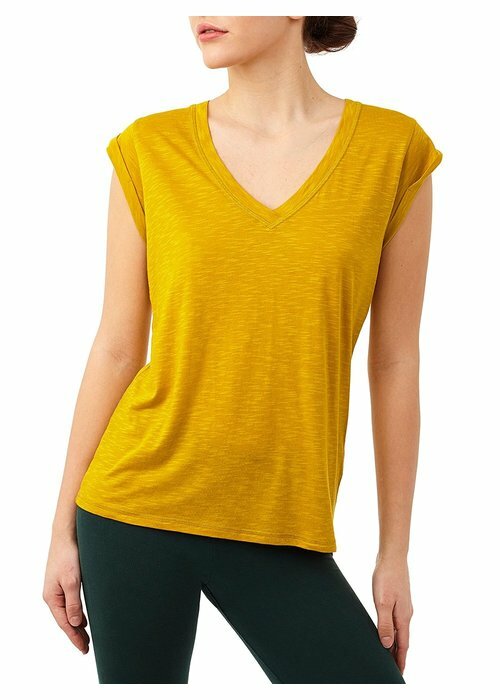 The Enlight Relaxed Tee has a beautiful flowy fit with an elegant v-neck and is slightly longer in the back.